The Nature of Freedom is a powerful devotional tool that enables people to understand a wide variety of truths purely from God's perspective. The book is deeply relational, highly personal and carries the same simple, practical and profound theology that Jesus used throughout the Gospels. As a journal of your journey into the nature of freedom, there are questions for consideration, processing tools and activations that will release you into a practical encounter with the Lord. 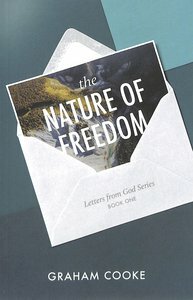 About "The Nature of Freedom (2nd Edition) (#01 in Letters From God Series)"